From his days at the University of Montana to chasing powder in Colorado and Europe, Ryan Arnold has always has been known as a hard-charging snowboarder with mad skills on the slopes. 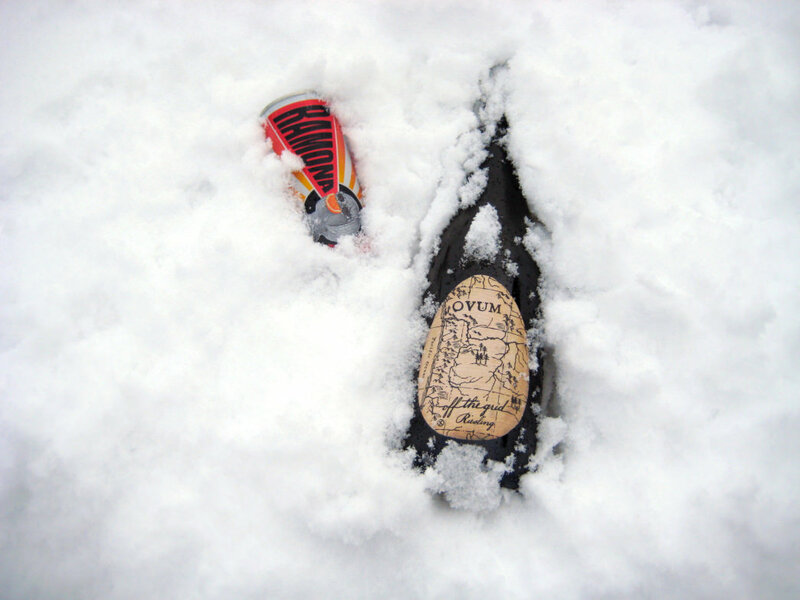 These days, however, Arnold’s bag of tricks includes the impressive ability to produce a bottle (or can) of wine at almost any time: on the chairlift, perhaps, or even mid-run, thanks to a clever stash in the snow. Not that Arnold is looking to get hammered while he hits the slopes. In fact, he’s a sommelier and wine director of Chicago-based Lettuce Entertain You Enterprises, which means drinking wine, beer, and spirits (and doing so responsibly) is integral to his job. But even when Arnold is off the clock and pursuing his powder-based passions, the former amateur snowboard competitor is always looking for the next best thing to sip on—and these days, his palate has shifted from beer, the go-to drink for the ski bum set, to wine. For one thing, Arnold says, he was starting to find beer too heavy, the hops hard to digest while he’s out enjoying the great outdoors. At the same time, the exploding market for wine in cans and with screw tops makes it easier than ever to, say, sip on some refreshing rosé while riding the chairlift. Arnold also has become adept at stashing bottles or cans of wine on the slopes, so he can take a leisurely break with some perfectly chilled vino. We tucked into his bag of tricks to find just how he does that—plus some other on-point tips when it comes to wine and the winter sports scene—so you don’t have to wait for aprés to have a well-deserved splash or two. Bring some goodies from home while traveling to a pricey resort. Even for someone who’s likely to get industry discounts and other perks, Arnold tends to bristle at the exorbitant price of wine in many ski resort destinations. His solution? Bringing a few bottles to wherever he’s headed to hit the slopes. 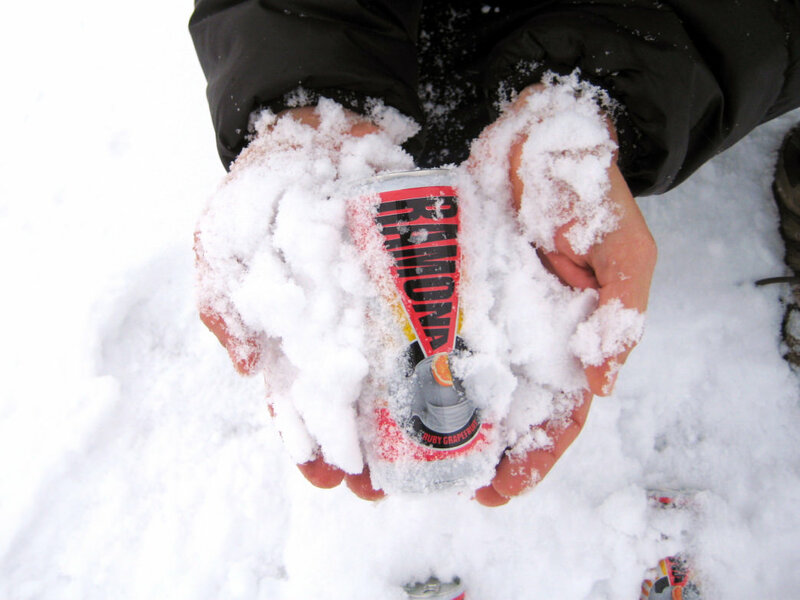 Impress your buddies by stashing a bottle, or— even better—a can in the snow. Forget the overpriced beers in the lodge: When you want a little swig of something boozy, try stashing some wine on the slopes to add some panache to your take-a-breather break, which is a sure-to-please offering no matter whom you’re skiing with. Arnold has become adept at this as of late, nestling cans (and, occasionally, bottles) “next to jumps, next to kickers, next to rocks. Come back in an hour or so, and you’ve got yourself a perfectly chilled can,” he says. Remember, you’re looking for wines that deliver just a little bit of punch, not a fist to the face. 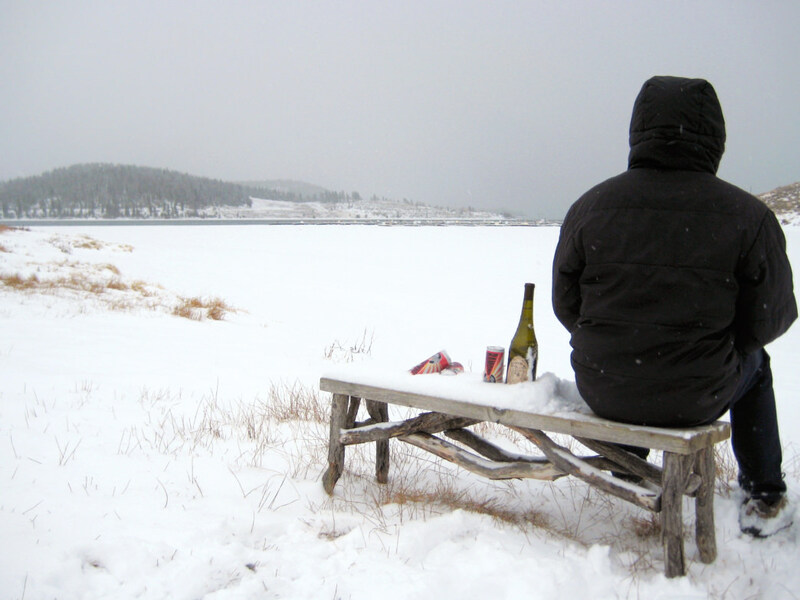 On that note, forgo high-alcohol wines like barolos and petite syrahs in favor of whites and roses, which tend to have a lower alcohol by volume, chill beautifully in the snow, and offer crisp refreshment. For aprés, one of Arnold’s recent obsessions is a style of wine called pétillant naturel, or pét–nat, which literally means “naturally sparkling.” These buzzy, unfiltered wines are made without secondary fermentation, which happens in the bottle (which usually have a crown cap). Pét-nat wines are certainly having a moment among savvy wine drinkers, and Arnold is one of them: “It’s the way to finish a day on the slopes,” he says.